PLEASE NOTE: If you’ve reached this page and you’re looking for information on Midwest Mountaineering’s Spring 2016 Expo, please click here. We invite you to this fall’s Outdoor Adventure Expo hosted by Midwest Mountaineering and the U of M, November 20 through 22. Join us at Midwest Mountaineering’s biggest sale of the season and one of the best outdoor adventure gatherings in Minneapolis! Come spend the day enjoying over 100 exhibitors and over 120 Presentations with a focus on anything and everything outdoors. The expo runs on Friday from 2:00 to 9:30pm, Saturday from 9:00 to 6:30pm, and Sunday from 10:00 to 5:00pm, and admission is absolutely FREE! You can find out more general information about the expo on the Outdoor Adventure Expo website. Ps. Don’t forget to stop by our booth (and many others) where we will be handing out raffle tickets for Beer and Gear night. We will be handing out a $200 travel credit coupon to everyone who attends our presentations! 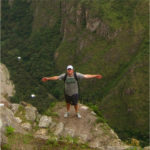 MACHU PICCHU AND BEYOND Jordan Harvey, Knowmad’s co-Founder will share inspired images while offering practical itinerary planning and advice for hiking the Inca Trail, less physical and more luxurious trips, as well as information on Amazon Jungle lodges and Lake Titicaca. 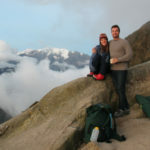 Having traveled, lived, and guided throughout South America, Jordan will offer insider information about Peru travel planning. Home to ancient civilizations, vast archeological marvels, vibrant indigenous cultures, and natural wonders spanning from the Amazon Rainforest to towering Andean peaks, Peru inspires awe at every turn. Throw in delectable food and remarkably friendly people, and it’s no wonder why Peru is a traveler favorite. Follow the link to brush up on some of our favorite itineraries and learn more about travel in Peru before heading to our presentation. 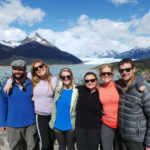 PATAGONIA UNBRIDLEDThis presentation will delve into both active Patagonia trips and luxury Patagonia vacations, offering advice and sharing images from this striking and remote corner of the world. The Patagonia region is home to Torres del Paine National Park, the Perito Moreno Glacier, Cape Horn and the Tierra del Fuego, remote Chiloe Island and its seafaring indigenous peoples, the unblemished Cochamo Valley and more. It is as vast and sparsely populated as it is dramatic. 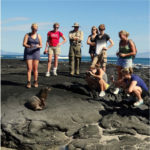 EXPLORING THE BREATHTAKING GALAPAGOS ISLANDS AND MAINLAND ECUADOR In this presentation Jordan will share astounding photos of the Galapagos Islands and mainland Ecuador, as well as share practical advice on everything from picking the perfect Galapagos cruise for you to where to go in mainland Ecuador and how to plan the perfect itinerary. The Galapagos Islands, some 600 miles off the coast of Ecuador, is one of the most unique, pristine and remarkable destinations in the world. The waters are turquoise blue and the wildlife has little to no fear of humans. In a country about the same size as the state of Colorado, Ecuador is home to nearly every ecosystem imaginable. 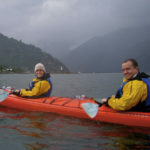 Visits to Ecuador can include cloud forest, Andean Highlands, historic haciendas, remote indigenous communities, volcanoes, Amazon Jungle, colonial cities, and of course, the famed Galapagos Islands. We hope to see you and your friends at the Expo this year!